Living in the Northwest, water is a fundamental part of our existence. We also know that sometimes it doesn't stay outside where it belongs and we end up with damage to our homes or businesses. 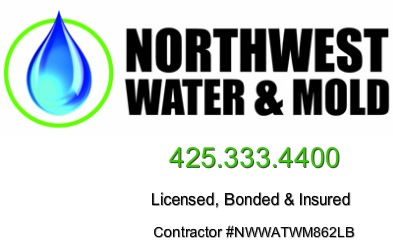 At NW Water & Mold, we provide premium water damage mitigation, mold remediation and restoration services in residential and commercial settings. With over 30 years of experience, we can give you peace of mind and help restore your home or business to its original state, professionally and completely. Let us find your leak, or remediate your mold, and help you get your life back to normal as quickly as possible.